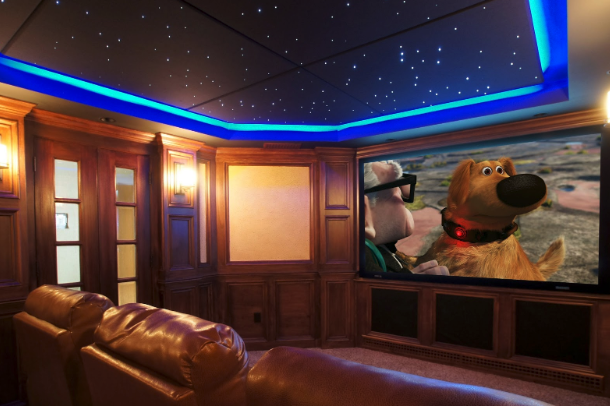 Inspiring Man Cave Lighting Ideas — Electrical Contractors in Hopkinton NH | Irish Electric Corp.
Man caves have become increasingly popular spaces in today’s homes. Here, the man of the house can express his personality and interests in a manner that doesn’t have to flow with the rest of the home. 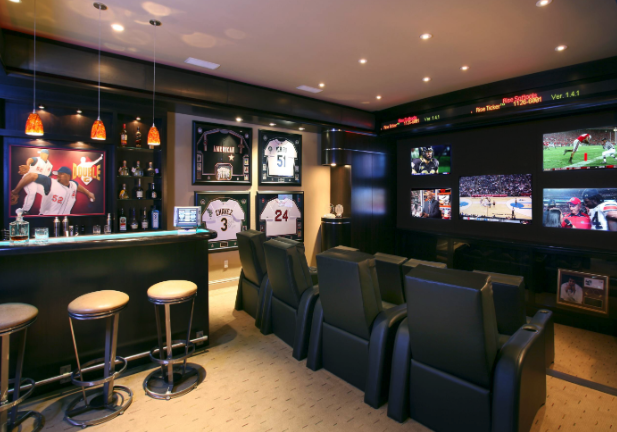 These designated manspaces are frequently used to showcase sports memorabilia and other collections, watch sports and movies on widescreen TVs, and host game nights with the guys. 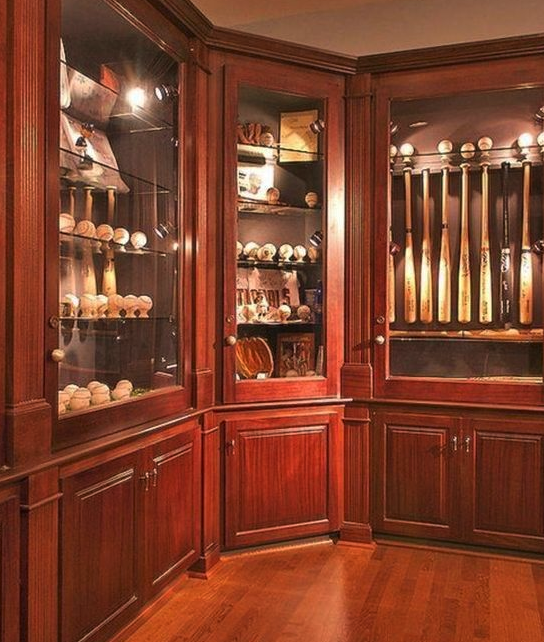 However, just because it’s called a man cave, doesn’t mean you need to stay in the dark. Strategically-designed lightning can really make a man cave come alive. 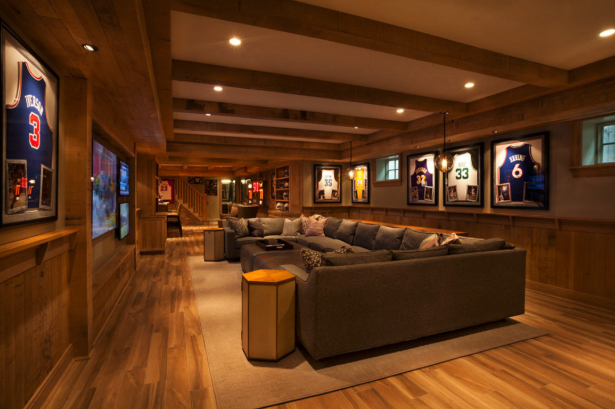 Man caves are often housed in the basement, making them the darkest areas of the home. Lighting not only illuminates the room, but can be used to create a specific atmosphere. For example, you could stick with one color for a more conservative and serene look or use vibrant LED light colors for something a little bolder and brighter. Placing small recessed spotlights above your prized collections is a great way to highlight them and provide additional subtle lighting to your space. From rustic to modern, and everything in between, hanging pendants add practical lighting and style to a man cave. 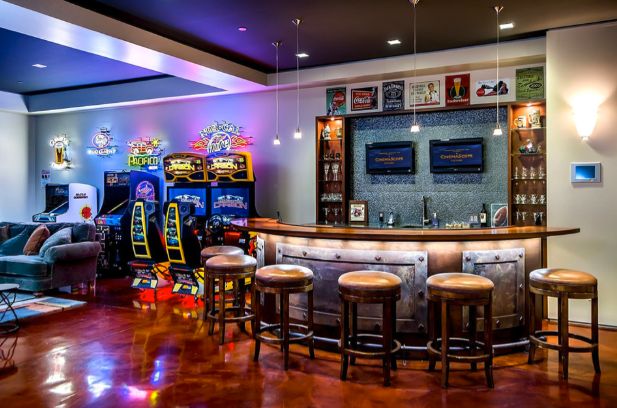 Cabinet lighting helps highlight a man cave owner’s favorite hobbies and collections, and brings visual interest to the space. There are about as many lighting options out there as there are man caves, and the pros at Irish Electric can help you come up with a design that suits your style and functional needs. 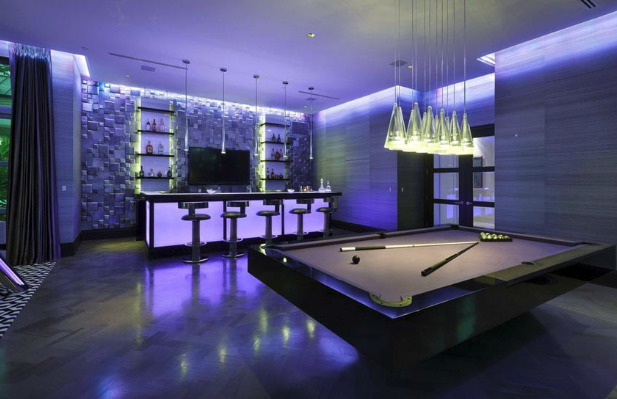 With a little planning, you can light up your man cave just about anyway you can imagine. Irish Electric provides custom indoor and outdoor home lighting in the Greater Concord area. If you’re looking for the perfect lighting design for your man cave or any other space within or outside your home, contact us to learn about our lighting consultation, design, and installation services. We proudly serve the towns of Concord, Webster, Hillsboro, Weare, Penacook, Boscawen, Warner, Hooksett, Hopkinton, Henniker, Bow, Manchester and others throughout New Hampshire.